I recently had the honor of interviewing Melissa King, author of Easy Whole Vegan, an all around inspiring woman and dedicated mom. If you aren’t familiar, Melissa is a highly respected food blogger and 2-time cookbook author who serves as the creator, photographer and main content writer over at My Whole Food Life. She was initially inspired to reboot her own health in an effort to be a healthy example for her two young daughters. I really admire the selfless dedication that she brings to maintaining the best possible health for her family while still keeping things fun in creating healthy versions of classic, unhealthy foods. And the results speak for themselves: After switching over to a plant-based diet, Melissa lost 5-7 pounds without even trying. Several months later, her husband was down 20 pounds and his cholesterol numbers improved dramatically. 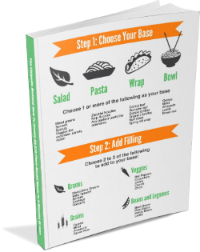 Easy Whole Vegan one of the most complete guidebooks I’ve read for those who are interested in pursuing a vegetarian or vegan diet but are struggling with cravings for some of their old, favorite foods. 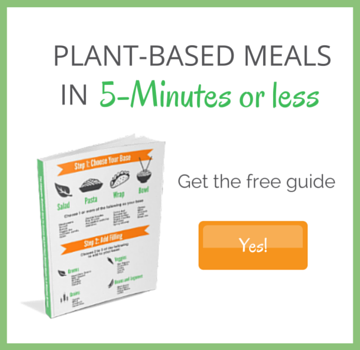 And not only that, but the books insistence on using whole, unprocessed ingredients as the base for every recipe really sets it apart from other plant-based cookbooks, where packaged and processed foods are the norm. And today, I get to share one of it’s mouth-watering recipes with you! 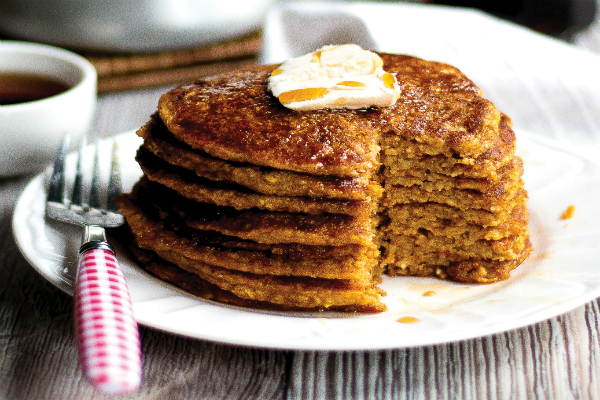 Hope you enjoy the Sweet Potato Pancake recipe, excerpted from Easy Whole Vegan and courtesy of Melissa King and The Experiment. 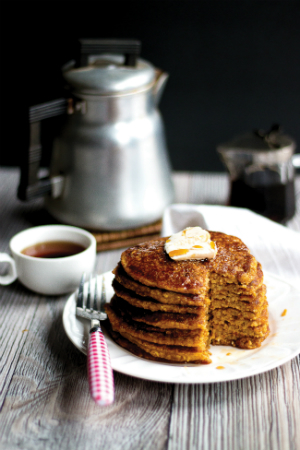 This is a great recipe for a Saturday morning, and can easily replace traditional, wheat-based pancake recipes. Feel free to serve these with your topping of choice – anything from fresh berries and bananas to chopped walnuts, almond butter and of course, 100% pure maple syrup. 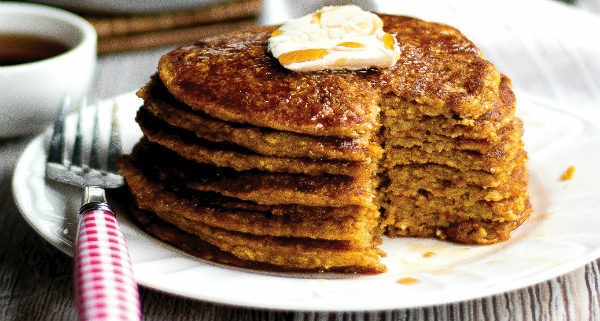 Note: These pancakes can be made ahead of time and frozen for a quick breakfast option as well. In a medium bowl, mix all of the wet ingredients except the coconut oil. and do this by hand, but you can use a stand mixer if you prefer. little, you know it’s ready to flip (1 to 2 minutes). Repeat until the batter is used up. weeks in the fridge and up to 6 months in the freezer. To make the sweet potato purée, peel and cube 1 large sweet potato or 2 small sweet potatoes, then place them in a large pot of boiling water. Boil until soft, 15 to 20 minutes. Drain the water and place the sweet potatoes back in the pot. Use an immersion blender or potato masher to purée the sweet potatoes. This step can be done in advance. It should keep in the fridge for about 2 weeks. You can also freeze it for up to 6 months. 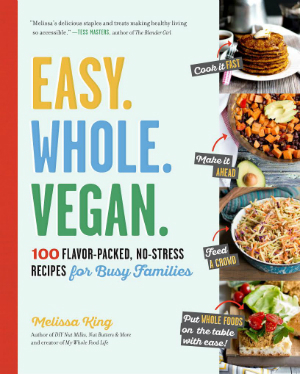 Melissa and her publisher, The Experiment, have been gracious enough to provide a copy of Easy Whole Vegan to our community, and you can enter to win! Click here to listen to the interview and leave a comment for your chance to win.